What a show! 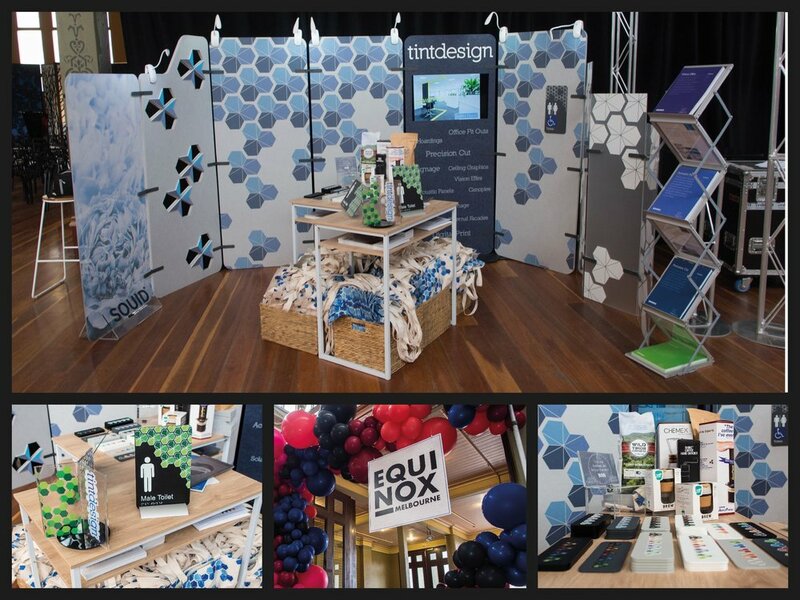 It’s the first time Tint Design have had a stand at the Equinox Exhibition and we couldn’t be happier with how it all turned out. We were present at both the Sydney and Melbourne shows and it appears we had a impact at both which is so exciting! With Tint Design now providing a number of products and services we were determined to present as much as we could on our stand and in the end were were able to showcase printed and cut Acoustic Panels, printed Frost and clear films, Precision Cut graphics and some acrylic laser cut lettering. Squid - it’s a fabric that can be applied to glass and it’s amazing! Our FIRST range of Tactile Signage - while at this stage, we have only released the concept, the final product will be available very soon and we are SO exited about it! It appeared that many of you were both interested in, and excited about our new products and while Equinox was just the introduction and an attempt to wet your appetite, you can expect to hear a lot more about these products very soon.